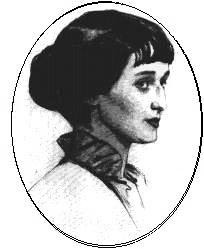 ﻿ Poetry Lovers' Page - Anna Akhmatova: "A Widow in Black..."
You are here: Home » Russian Poets » Anna Akhmatova » "A Widow in Black..."
ANNA AKHMATOVA: "A Widow in Black..."
She will not stop her lamentations loud. Will give a mercy to the pined and tired. Though paid by life -- what more could be desired?